What happens if you put a House hero in a studio together with one of today's hottest talents? In the case of Kid Massive and DJ Sign it's something good…something really good. 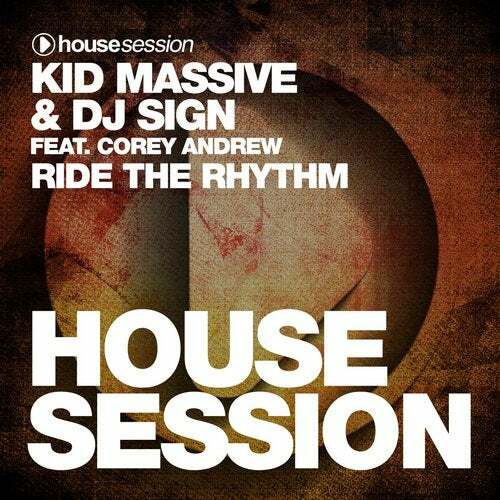 With "Ride The Rhythm" these two wizards deliver one gem of pure-bred House Music, coming with everything you need to make the faces shine and asses move: A relentless 4-to-the-floor beat, some highly addictive pianos, perfectly orchestrated melodies and the incredible voice of the one and only Corey Andrew. And to cap it all off, no less than Code3000 contribute a pumping remix. A massive package for all House lovers out there.